WebEngine Qt Quick Minimal Example demonstrates how to use the WebEngineView item to render a web page. It shows the minimum amount of code needed to load and display an HTML page, and can be used as a basis for further experimentation. In main.cpp we use only the QGuiApplication and QQmlApplicationEngine classes. We also include qtwebengineglobal.h to be able to use QtWebEngine::initialize. In the main function we first set the Qt::AA_EnableHighDpiScaling attribute. This lets the web view automatically scale on high-dpi displays. Then we instantiate a QGuiApplication object. Next, we call QtWebEngine::initialize, which makes sure that OpenGL contexts can be shared between the main process and the dedicated renderer process (QtWebEngineProcess). This method needs to be called before any OpenGL context is created. Then we create a QQmlApplicationEngine, and tell it to load main.qml from the Qt Resource System. In main.qml we create the top level window, set a sensible default size and make it visible. The window will be filled by a WebEngineView item loading the Qt Homepage. 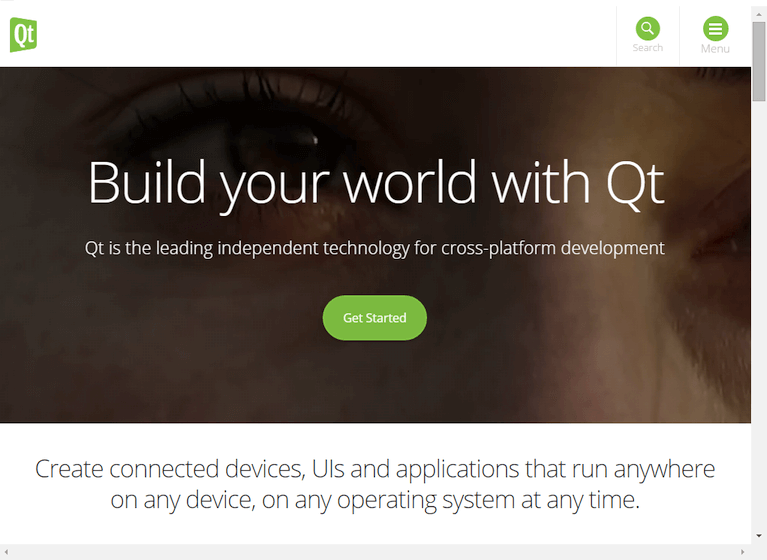 The example requires a working internet connection to render the Qt Homepage. An optional system proxy should be picked up automatically.